Since 1935, Saint Jean has been a leader in pasta making, combining only quality products and traditional savoir-faire to create exquisite and innovative recipes. 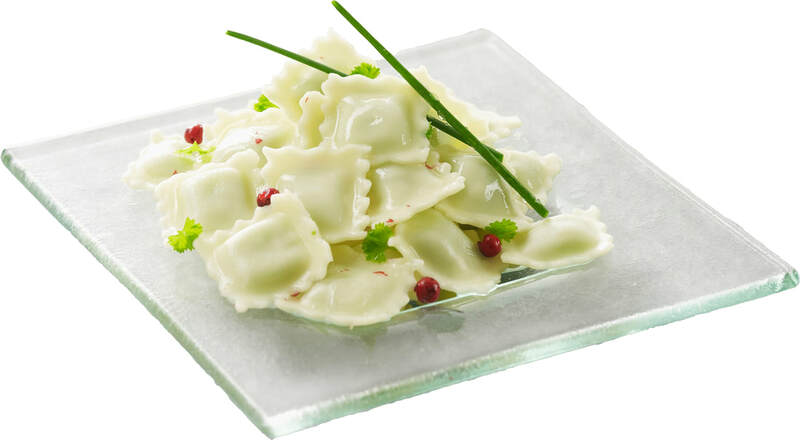 These Ravioles du Dauphiné are made of soft-wheat flour dough and filled with a smooth stuffing made of French-style cream cheese, Comté cheese and parsley. 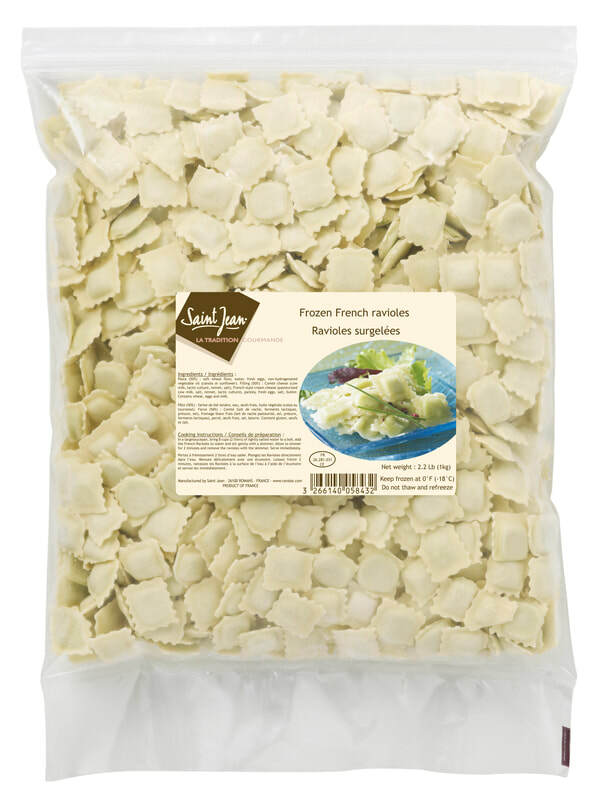 Pasta 50%: Soft wheat flour, water, fresh eggs, non-hydrogenated vegetable oil (sunflower). Filling 50%: Comté cheese (cow milk, lactic culture, rennet, salt), French-style cream cheese (pasteurized cow milk, salt, rennet, lactic culture), parsley, fresh eggs, salt, butter. Can be used as a main or side dish, simply topped with a nut of butter or drizzle of olive oil or any other topping / sauce of your choice. ​40 days after defrosting between 0ºC and 4ºC (32F and 39F).